OK, we’ll play to type and fulfill the obvious stereotype – style is important to us. Among the things we have in common with straight boy hockey fans, is getting absolutely giddy when new jerseys are unveiled. We like hockey jerseys so much, we incorporated them into our header. (See if you can spot the hidden, magic gay rainbow!). We’re going to weigh in later this week with our critique of the Sochi hockey unis, but we thought it was important to talk to an expert first. Chris Smith of icethetics is the go-to guy for rink jerseys and logos. 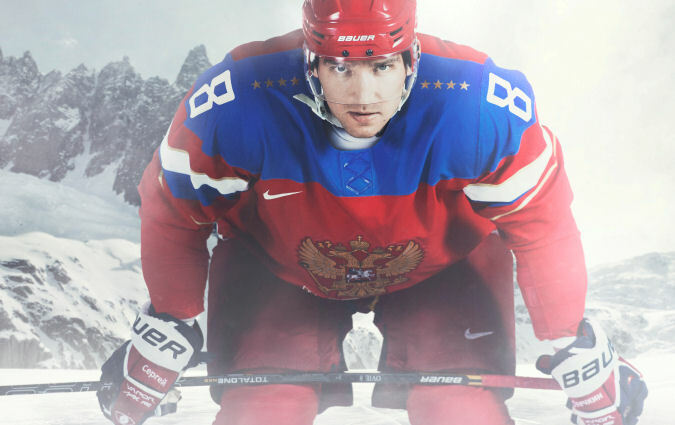 He was good enough to answer some questions for us and tease us a bit – his full ranking of the Sochi sweaters hits on February 1st. Can’t wait. THANKS, CHRIS! Follow him on twitter here. 1. What are the qualities that make for a great hockey sweater, especially for the Olys? What an impossible question to answer. Obviously it varies for everyone. For me, it needs to be distinctive. A jersey should be recognizable at a glance — even when the crest isn’t visible. Russia, Canada, Sweden, Germany and Finland excel in this area. 2. In the battle between tradition and innovation, where should a jersey come down? There’s no reason the two can’t go hand in hand. In my opinion, Nike proved that with a lot of these jerseys. Tradition is great for teams that have it (Canada, Russia, USA, Sweden, among others) but unnecessary for those without it (Slovenia and Japan come to mind). It’s not fair to say one or the other across the board. Every country should have its own style. 3. 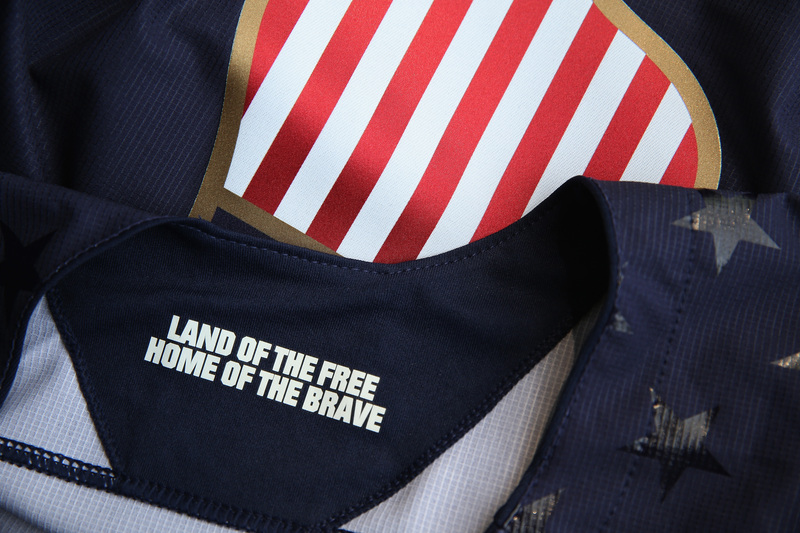 What are the key elements for Olympic jerseys: national symbols, flags, shields, names, etc? More than anything, colors. After that, go with what’s memorable and what best represents your nation. 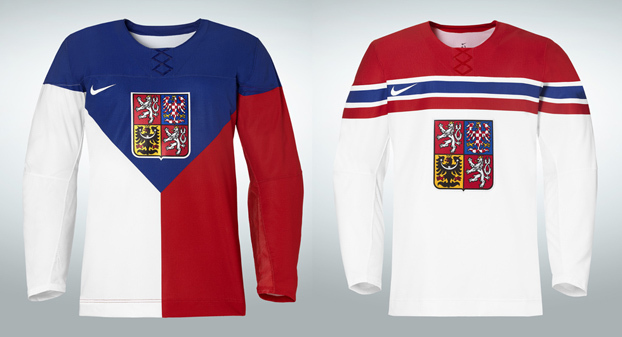 The Czechs’ flag jersey looks amazing. The Finns’ not so much. On the other hand the red and gold Finnish coat of arms is brilliant on the blue jersey while the Austrian coat of arms is a bit dull. As far as names on jerseys, I’ve never been a big fan of using text where a symbol can be more quickly read. 4. How do you know when you have a dud – and what are a few examples? Japan. 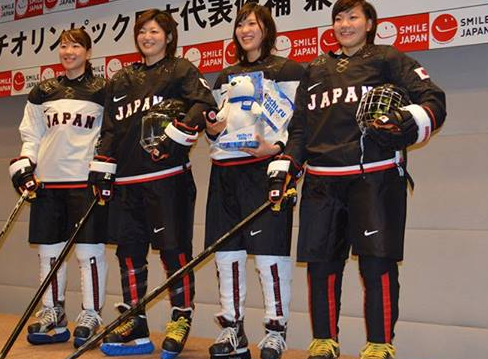 They may not be known for their ice hockey prowess, but the women’s team made it to the big show. Why do they have to look so boring? There’s such a rich history of art and creativity and their admittedly American-designed jerseys ended up being duds. But they’re really the only example of that this year in my mind. 5. A few years ago the Olympics went all very old-school. I kinda liked the way they looked – like old photos. Do you think they worked? In seven years of writing about hockey uniforms, I’ve learned there are really two camps. You have your traditionalists who think hockey jersey design peaked in the 1960s and need not advance any further. And you have your modernists who want to see new and interesting jersey designs. Nike is run by modernists. Reebok is to an extent, but more willing to bend to traditionalist fervor. Some people have one foot on each side of the line (like me) but generally get shouted down by the louder voices with both feet firmly planted on one side or the other. I think there’s a place for old school jerseys. Maybe break them out every couple of decades or so to remind the new generation what came before them. But we should allow hockey jersey design to stagnate. The quickest way to kill anything is with too much of it. That’s my treatise on the subject. 6. Of this year’s crop, what are the hits and what are the misses? 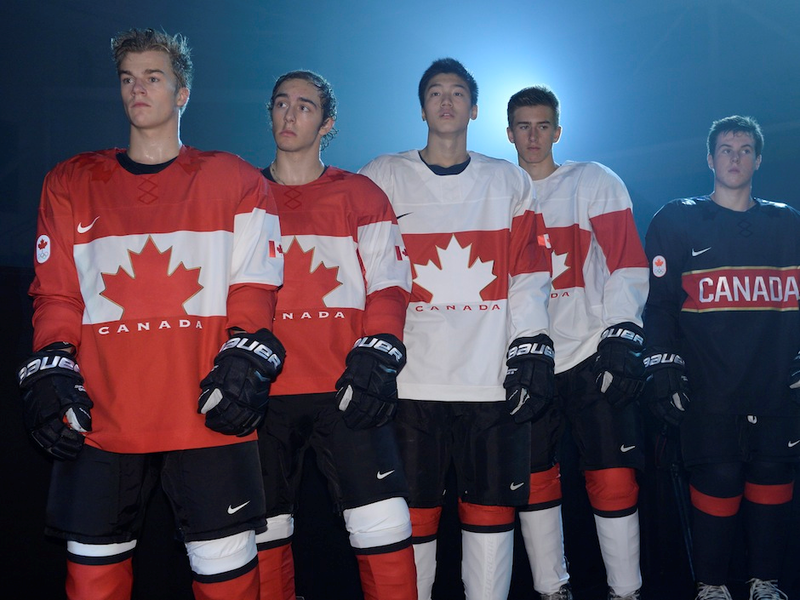 In your opinion, rank Gold, Silver and Bronze jersey efforts. My full ranking will be published on Icethetics on Feb. 1. I thought Japan, Norway and Austria were the biggest misses. As for the hits, I’ll give you my top three, but I won’t tell you which order. You’ll have to read my article. But I like the U.S. (not just because I’m American), Czech Republic and Canada. Also think Russia and Slovakia fared well. I’m not a sales expert so I’ll have to pass on this question. For what it’s worth, @flyersfansindc quoted a Nike rep being interviewed on SiriusXM NHL as saying Canada’s red jersey is selling best followed by black then white. And all are selling faster than projected. That was reported Nov. 15, 2013. No idea how/if that information has changed. That is an excellent question! I’ve often wondered what turns everyone into an expert as soon as a new uniform is unveiled. When I first started this site, readers used to give me a hard time for rarely expressing an opinion. Part of that was trying to be a good journalist (which I’ve since given up) but the other part was knowing when I didn’t know enough to make an informed opinion. Anyway, I think there’s just something about hockey. Our uniforms are unlike those in any other sport. In football and basketball, numbers dominate and there are no sleeves. In baseball, it’s all word marks and in soccer, it’s all shields. Hockey has such a variety of styles, including the big logo crest front and center that differentiates its jerseys. It’s hard for a lot of people not to get sucked into that aspect of it. 9. Is there a color, or a symbol, or anything else that should NEVER EVER find its way onto a hockey jersey? I hate to make blanket statements like that (though as a TV producer I definitely know they make for better interview soundbites). I truly believe a good designer can make any color work on a hockey jersey. But just the same, I think a bad designer can ruin a jersey with any color. I also don’t think there’s any one way to get it right. It’s all a matter of taste and style. And ultimately, it comes down to knowing the audience. You can’t go wild and crazy with the Montreal Canadiens. But with the Nashville Predators, a little craziness is probably in order. 10. Lastly, what sweater(s) will you be sporting during the Games? Well, I’m American so I have to support my home country. But let’s say I had a U.S. jersey and was offered one more of any other country. 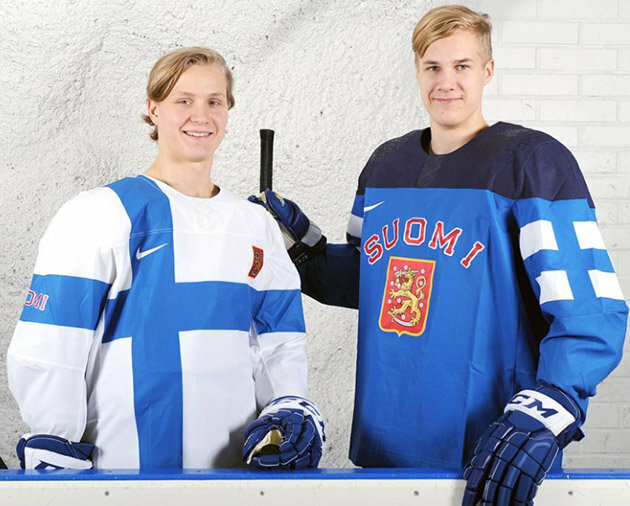 My personal preference would be Finland’s blue jersey. Odd choice maybe, but it suits my personal design sense. This entry was posted in Olympics and tagged Alexander Ovechkin, Coco Chanel, icethetics, Jerseys, Sochi2014, Style vs. Fashion. Bookmark the permalink.